The couple of months have featured a lot of dirt moving. We've moved dirt for the driveway, the basement, and the electric line. We've also moved a lot of dirt back into the holes we or others dug. Most recently has been backfilling. I've already posted a few times about our backfilling efforts. 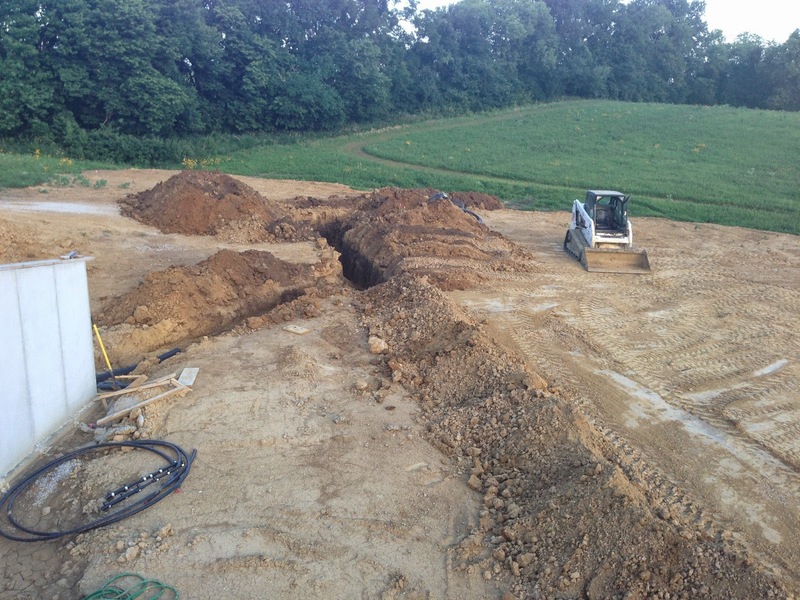 However, the exciting news is that we're more or less finished with backfilling. 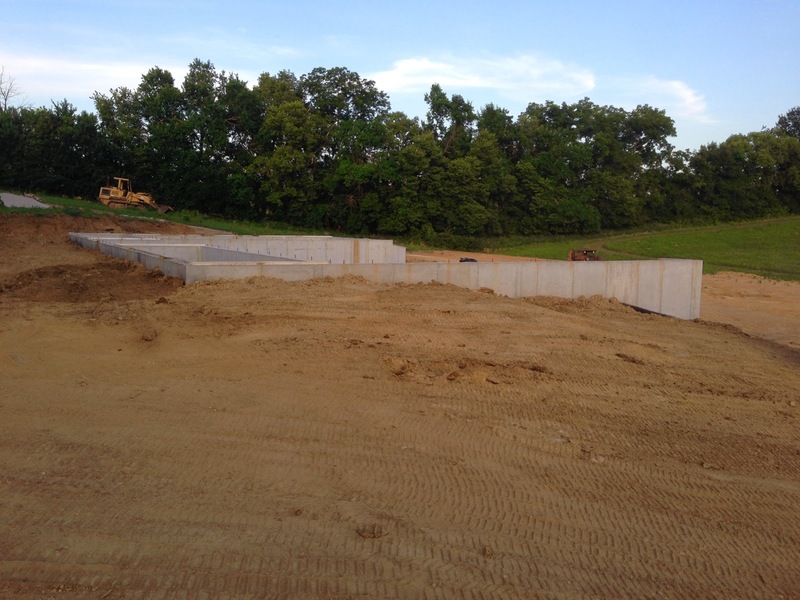 We still have some grading to complete, but we're pretty much done with moving dirt in around the basement walls. It took a lot of trips up and down the hill with this little Bobcat, but we got there. All those trips served the dual purpose of compacting the dirt on top of itself. Today we also had progress on another dirt-moving-front. 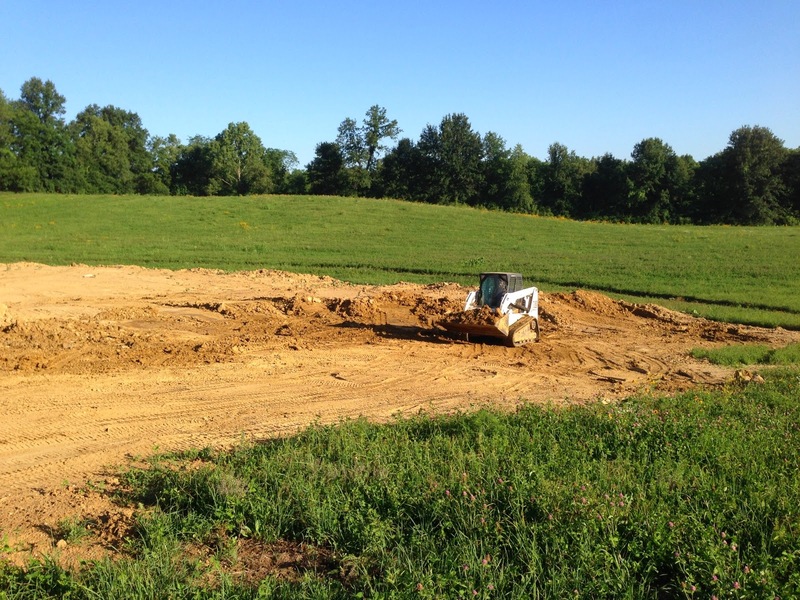 Our geothermal subcontractor, ECS, came out and started excavating and installing our ground loops. Geothermal is an efficient means of heating and cooling your home using the ground as a heat source. At about 6 ft depth in Missouri, the ground is the same temperature year round (I think around 60 degrees F). In the summer, the geothermal system pumps heat from inside the house through a ground loop and transfers the heat to the earth. In the winter, the system transfers heat from the earth into your home. It uses a refrigerant, like a heat pump. Its all electric and is very efficient. You can either install a vertical ground loop, which drills down like a well, or a horizontal ground loop. We opted for the horizontal loop, since we have plenty of space.